4 layer board of 3.90 x 0.44 inches (99.1 x 11.2 mm). Uploaded: February 9th, 2019 18:29. 4 layer board of 4.00 x 0.60 inches (101.6 x 15.3 mm). Uploaded: February 8th, 2019 20:00. 2 layer board of 2.93 x 1.25 inches (74.3 x 31.8 mm). Uploaded: February 1st, 2019 16:04. 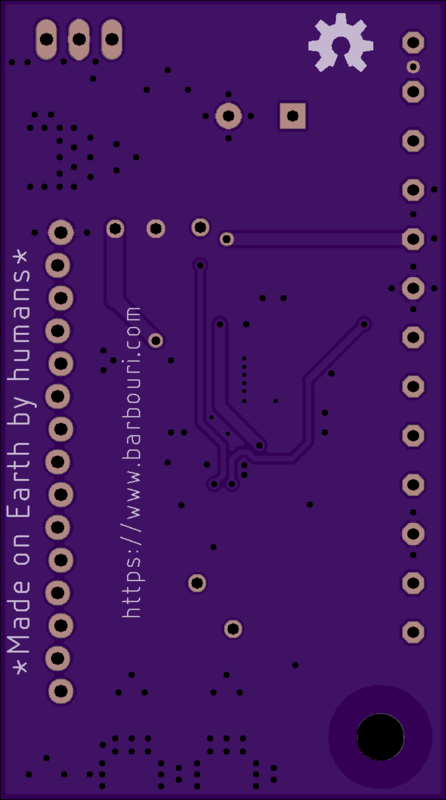 2 layer board of 3.28 x 1.04 inches (83.3 x 26.4 mm). Uploaded: June 19th, 2018 17:58. 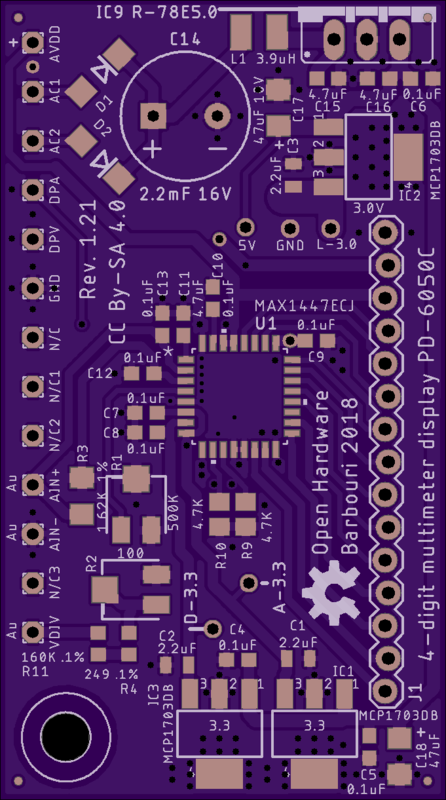 2 layer board of 1.36 x 2.44 inches (34.6 x 62.0 mm). Uploaded: July 31st, 2018 17:39. +4 digit multimeter for voltage and current on Power Designs Inc. 6050C power supply. 1 mA current and 10 mV voltage resolution using existing 3-digit board connector. 1 of 2 - Rev. 1.21 (connects to 7-segment display board 2 of 2).